Are the wooden boards on your house shrinking? If the boards on your house look like they’re shrinking, it’s probably because of exposure to the elements. When wood isn’t properly treated and is covered with paint, dry rot can set in and actually eat away the edges of wooden boards. Shrinking boards are a sure sign that you need a new paint job. Are you avoiding a paint job because you don’t mind the look of distressed paint? In recent years, the shabby barn look has become fashionable, and many homeowners think of cracked and peeling paint as an aesthetic issue above all else. However, even if you don’t mind the way your home looks, peeling paint can lead to serious structural damage, especially in a climate like Alaska. 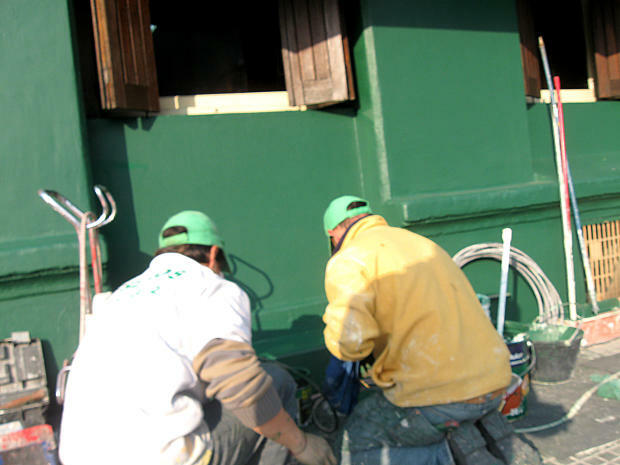 Did someone tell you that your home’s exterior would never require painting? Some remodeling and contracting companies will tell their clients that they never have to repaint stucco siding, but that’s actually an exaggeration. If your home’s exterior is beginning to show hairline cracks, you need a paint job because moisture will seep into each crack and cause water damage. If your Alaskan abode is in need of a new exterior paint job, call A-1 Kaylor Painting at (907) 345-7309, or visit them online for more information.